Garmin’s VIRB video camera is gaining popularity among pilots. 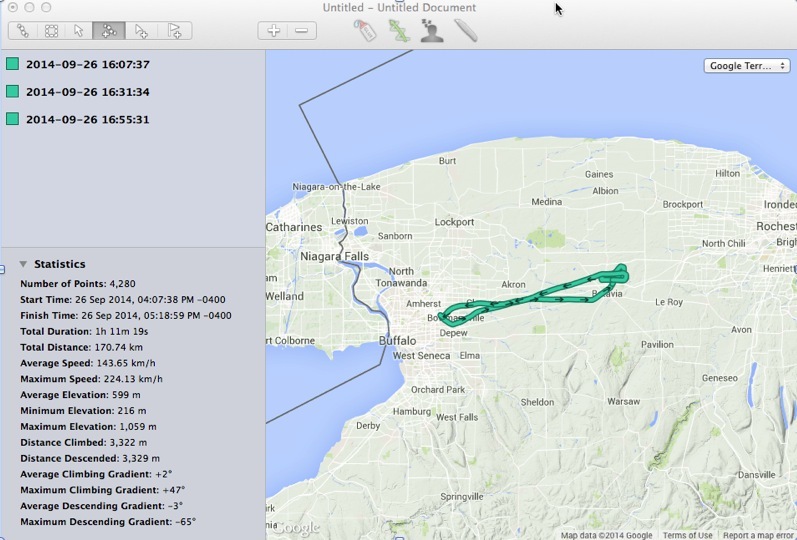 VIRB also captures the flight’s GPS data, and that data can be imported to CloudAhoy for further debrief. Uploading a .gpx file from your Garmin VIRB to CloudAhoy. Connect your VIRB to your PC / MAC via USB and open the USB drive that should now be available. It helps to have the directory view that shows the date modified so you can locate your specific flight if you have many recorded. You can upload this file to CloudAhoy now by clicking “flight import”. But… you probably have a flight longer than 20 min or so and have 2, 3 ,4 video clips and for each clip.. the VIRB created a new .GPX file. NOW WHAT? 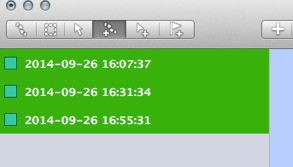 You will use this to import your multiple .gpx files into one, and then upload that combines file to CloudAhoy. You will now have ONE track that contains all the data from the multiple tracks you started out with. Now, go to File, Save As. to save the new file. This file can now be uploaded to CloudAhoy! As always, any feedback is most welcomed. And if you don’t use a MAC? I’ve tried literally a half dozen merge utilities under Windows, and even hand edited files together (which is tedious and a pain, but it works … kind of … with some glitch areas). Sorry – but the inability of cloudAhoy to import or merge multiple GPX files for a flight is rapidly becoming a deal breaker for me. Which is a pity: I like the site a good deal, I WANT to upgrade to professional, I WANT to use it to debrief mt flights and share them – but if I can’t use it, that point is moot. Have you tried stitching using Garmin’s free Basecamp program? We have many customers who use it successfully. Let us know, and if you’re still having difficulties send us the files so we can have a look. I am trying to find an example of the VIRB gpx file formatting as I am trying to convert code from another GPS unit to work in VIRB Edit. I am hoping that someone with a VIRB camera would be able to email me a short gpx file so that I know what it should look like.